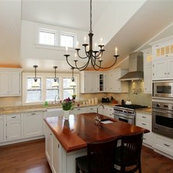 13 Reviews for Riverlight Builders, Inc.
Deb and Chris are consummate professionals with amazing vision. Their work was thorough and timely. The number of compliments we receive on our home is astounding. Not only that, but Deb, Chris and all their subcontractors are the most kind, accommodating, skilled people. We cannot recommend them highly enough.